Frequently you will save more than the cost of my services. May I propose to serve as external DPO for your organization? 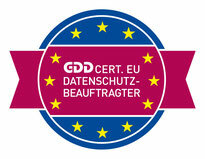 My long term experience in enterprise data privacy matters: General expertise in technical/ organizational measures, transfer of personal data outside the EU, questions concerning telephone and email privacy, e-commerce etc.